This book aspires to a deeper understanding of new water dynamics in the globally integrated system of people and nature. The authors have chosen to specifically address water and food in a changing world. The target audience is students, water resource professionals and water planners and as a result it is rich in detail and at times technical. Resilience is the entry point, woven into chapters on the role of water in the biosphere, human induced change to water systems, food production and water governance. A consistent message is that sustainable water stewardship is about having the capacity to deal with change. Overall the book is holistic in scope and offers plenty of ideas and insights for improved governance and management of water resources. S. Krätli, H. de Jode (ed.) 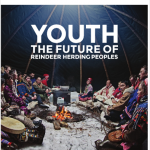 2015. International Institute for Environment and Development (IIED), London, UK, 88 pages. 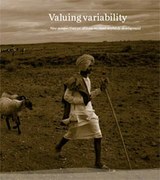 This book urges policy makers and development agents to overhaul present thinking about ‘controlling’ drylands and to consider an alternative pathway based on taking advantage of variability. The author explores vibrant dryland agricultural economies and in doing so inverts negative views about food security in the drylands. Case studies from drylands across the world, interspersed with brief theoretical and analytical text are the substance of this book. Amongst others, case studies include indigenous terrace systems, a mainstay of non-irrigated farming in eastern Sudan, rainwater harvesting in Northwest China and sheep rearing communities in Rajasthan, India. Each example demonstrates how producers use rainfall variability as an asset. A resounding message from this book is the need to better recognise local knowledge and customary wisdom of those who live with and value the inherent variability of drylands. B. Guèye, 2014. International Institute for Environment and Development (IIED), London, UK, 38 pages. This report is based on the main lessons and recommendations from three case studies analysing the strategies, aspirations and constraints of the various types of farmers living around the dams of Bagré (Burkina Faso), Sélingué (Mali) and Niandouba/ Confluent (Senegal). This document aims to contribute to national and regional reflections on policies and programmes to improve rice-based production systems in the irrigated areas and strengthen the livelihoods of farmers. HLPE, 2015. Rome, Italy, 129 pages. This report aims to help policy makers and actors around food, agriculture and water overcome the challenge of safeguarding water for the dignity, health, food and nutrition security of everyone on the planet. The authors’ broad focus – linkages between water, food security and nutrition from the household to the global level – is framed by competing demands, rising scarcities and climate change. The report includes a thorough analysis, for example of availability of water resources, managing water and governing water. And this supports findings and recommendations for improved management and governance. 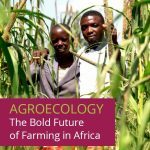 Agroecology is discussed and mentioned as an approach for improving management. 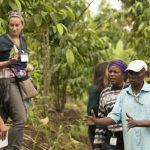 Recommended domains for action, amongst others, include conservation of ecosystems, considering the most vulnerable and marginalised first, improving management in agriculture and inclusive and effective governance. J. Franco, S. Kishimoto, S. Kay, T. Feodoroff and G. Parucci, 2014, Transnational Institute (TNI), Netherlands, 40 pages. “Water grabbing refers to situations where powerful actors take control of valuable water resources for their own benefit, depriving local communities whose livelihoods often depend on these resources and ecosystems.” This revised edition of the primer provides a comprehensive analysis of water grabbing worldwide. Informative chapters, complemented with case studies and selected further reading, explain: how water grabbing takes place; who are the water grabbers; and what are the key drivers of water grabbing. Film makers, writers, academics and activists have been motivated to tell stories about water from as many angles imaginable. This box lists a few more books and films which, in their own ways, provide deeper insight into water. Scaling up Multiple Use Water Services, Accountability in the water sector (2014) by B. van Koppen et al. is a good introduction to multiple use water services, a participatory approach that takes people’s multiple water needs as the starting point for planning and designing water services. Water, Power and Identity, The cultural politics of water in the Andes (2015) by R. Boelens addresses the complex conflicting relationship between communities managing water on the ground and national/global policy-making institutions and elites; and how grassroots defend against encroachment. Daughter of the Lake (2015, 87 minutes), directed by Ernesto Cabellos Damián, follows an Andean woman’s struggle for justice in the midst of a life and death water conflict between farmers and a goldmine in Peru. DamNation (2014, 87 minutes), directed by Ben Knight and Travis Rummel, explores the change in American attitudes from pride in big dams as engineering wonders to the growing awareness that the future is bound to the life and health of rivers. One Water (2008, 67 minutes), directed by Sanjeev Chatterjee, looks at the myriad ways water has touched human lives around the globe. Viewers are left with the critical question: is water a human right or a commodity? There are plenty more books, films and multimedia resources on water. The Water Channel (www.thewaterchannel.tv) is an online open resource that proves just this. The website is home to hundreds of videos and dossiers on key water themes, providing visitors the opportunity to upload videos and join online discussion forums.